Michael Accavitti: Chrysler LLCs new director of brand marketing oversees the Chrysler, Dodge and Jeep brands. DETROIT — Chrysler LLC is reorganizing its marketing department to reflect lower sales and a smaller work force. After the departure last month of Deborah Meyer as Chrysler's chief marketing officer, executive vice president Steven Landry added marketing to his duties. Landry now is responsible for North American sales and marketing as well as global parts and service. 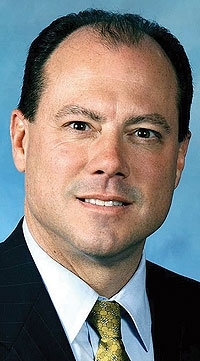 Michael Accavitti, 50, is Chrysler LLC's new director of brand marketing, overseeing the Chrysler, Dodge and Jeep brands. Accavitti previously directed marketing communications for Dodge and the SRT performance group. Accavitti told Automotive News that buyouts of white-collar employees last November depleted Chrysler's marketing department. He said the department needed to restructure after the staff shrank. Overall, nearly 5,000 salaried employees — about 25 percent of Chrysler's white-collar work force — took buyouts. Accavitti did not offer a figure for the marketing department. "We were still structured like we were in 1985," Accavitti said in an interview at the Detroit auto show. "We took a fresh approach, similar to what we have in the showroom." Chrysler's retail consolidation plan seeks to place its three brands under the same roof in as many dealerships as possible. Previously, each brand had its own marketing organization. Accavitti said Chrysler's new marketing structure will focus on keeping loyal buyers in tough economic times. "Consumers are going through a very difficult period," Accavitti said. "They lack disposable income. We're looking at how we can provide them with greater value." Accavitti said Chrysler's marketing department and sales operation will work together to develop "value packages." "We're looking at discounts on option packages" or some kind of "super incentive," he said. Although Chrysler offered incentives of as much as $10,000 on some vehicles last year, the company still fared poorly. In 2008, Chrysler's U.S. sales plunged 30.0 percent for the year and 53.1 percent in December. Both declines were the largest of any major automaker.